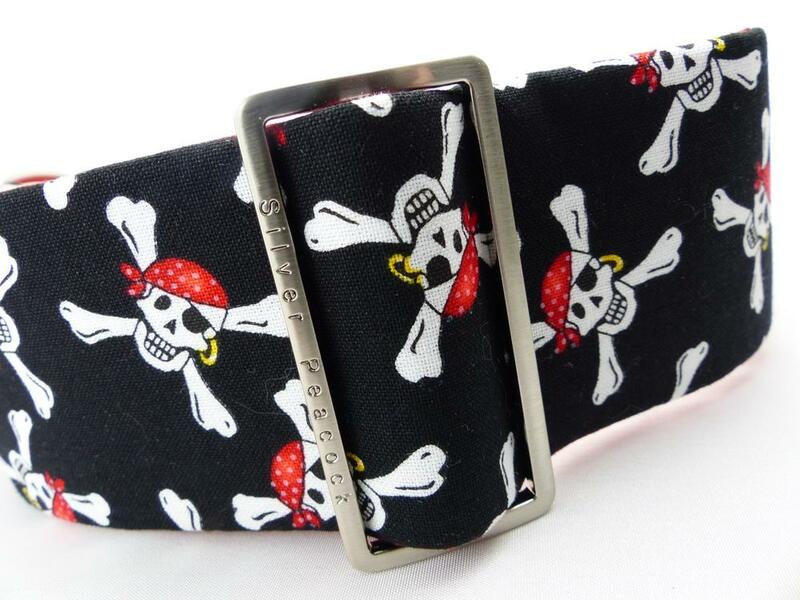 A true SP classic, this one is for the Buccaneers and Pirates! 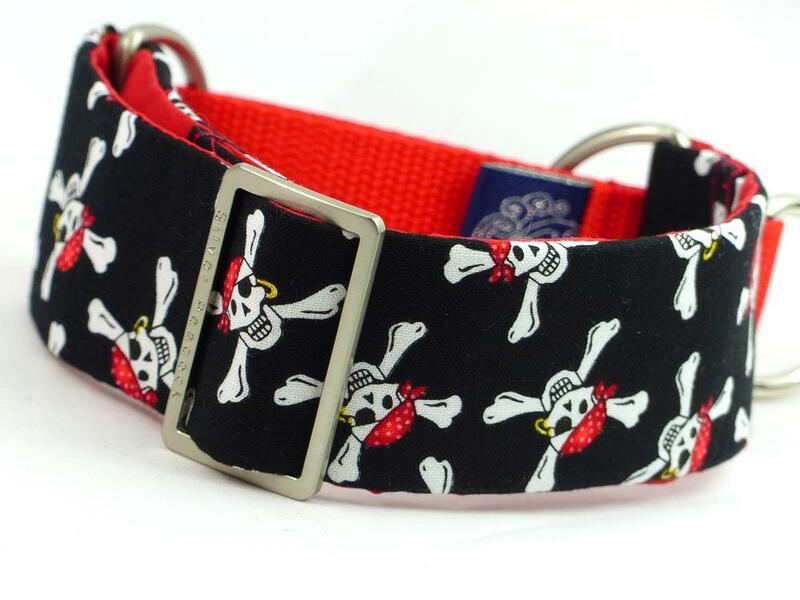 This striking and humorous collar is perfect for the chaps in our lives. 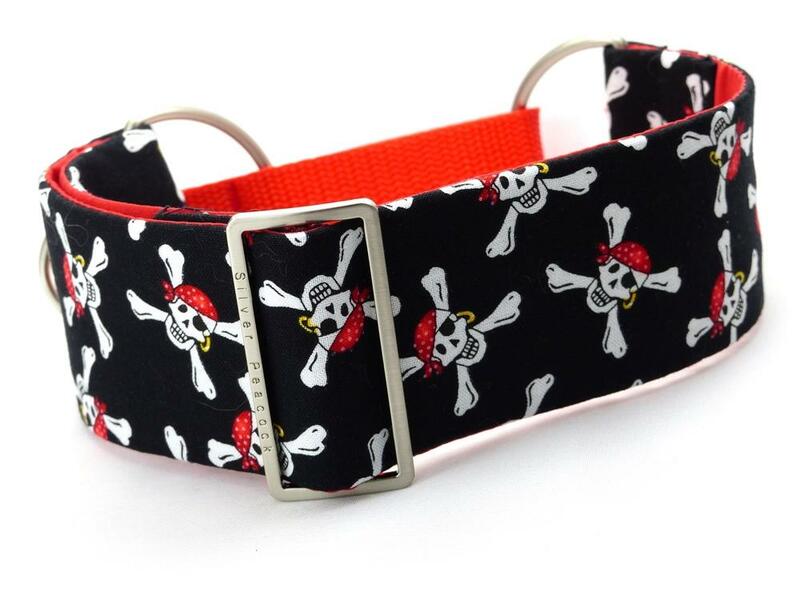 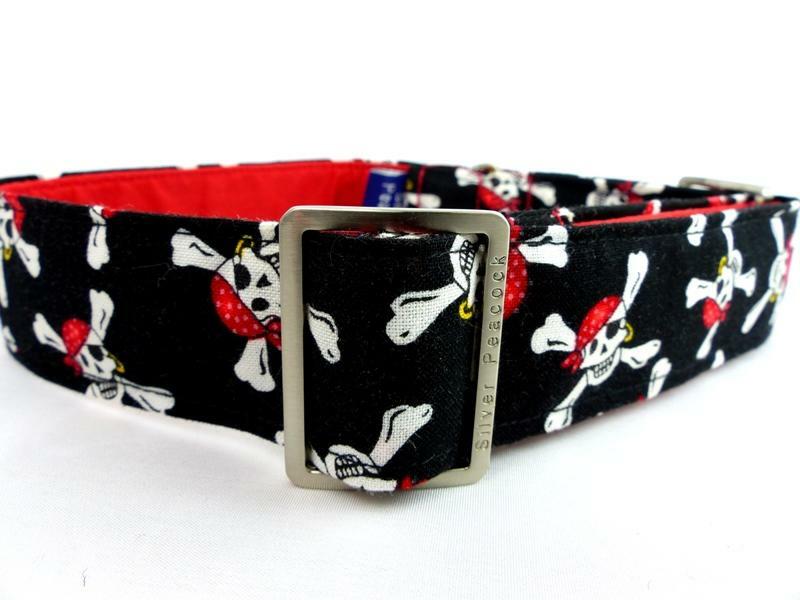 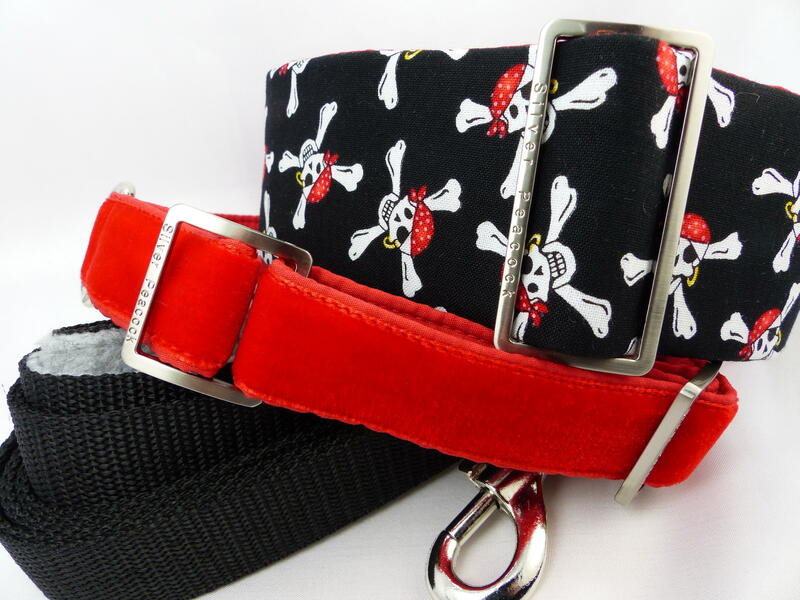 It is made of a black cotton fabric printed with a skull and cross-bone motif, picked out with red and gold, it is lined with complementary red fabric and is finished with robust silver coloured hardware. 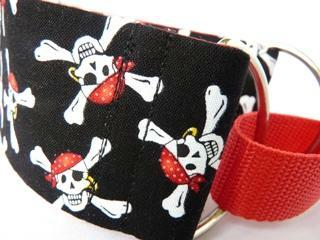 The martingale has a red webbing section.